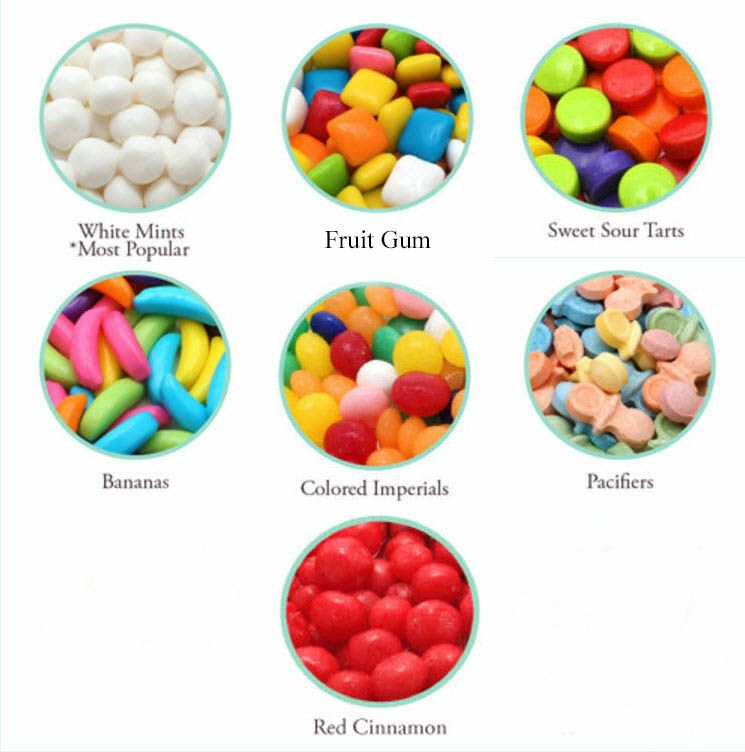 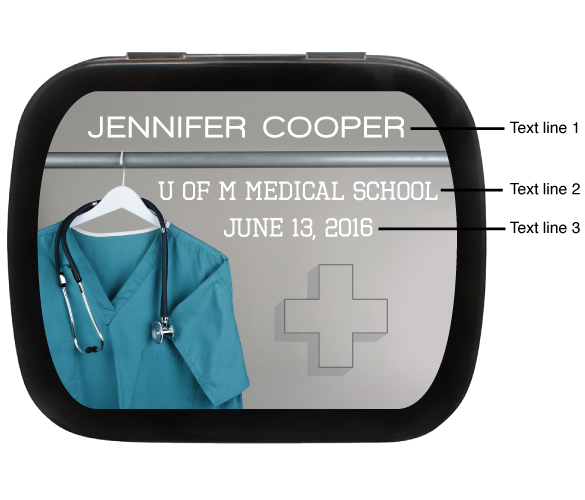 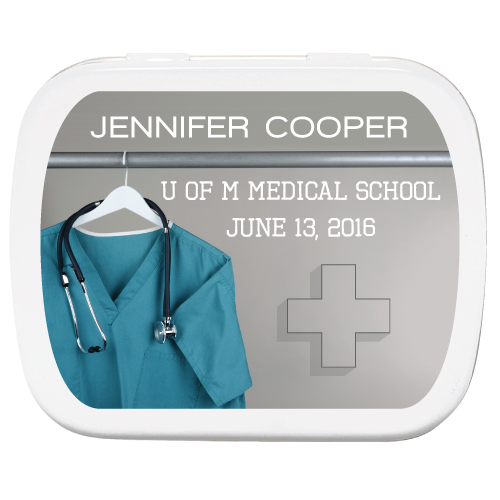 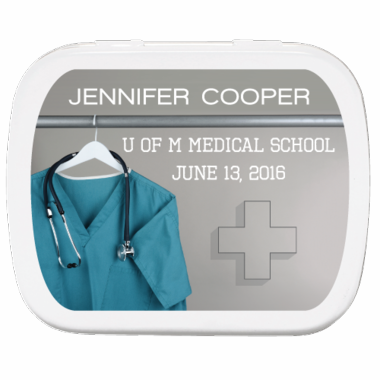 Whether you are looking for medical or nursing school graduation party favors, these mint tins with the scrubs design are ideal. 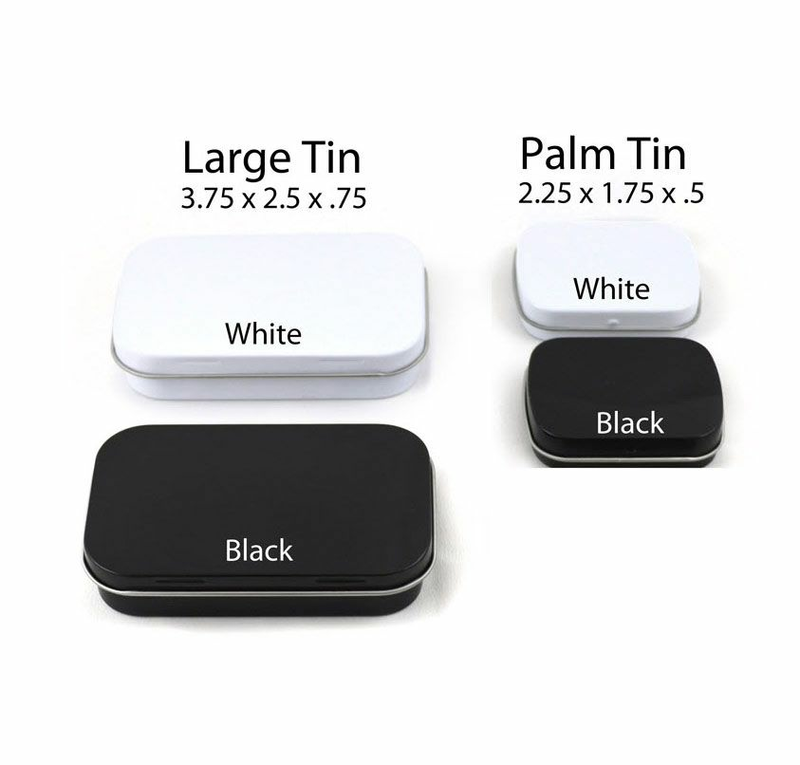 The most popular tin colors are white, black and silver. 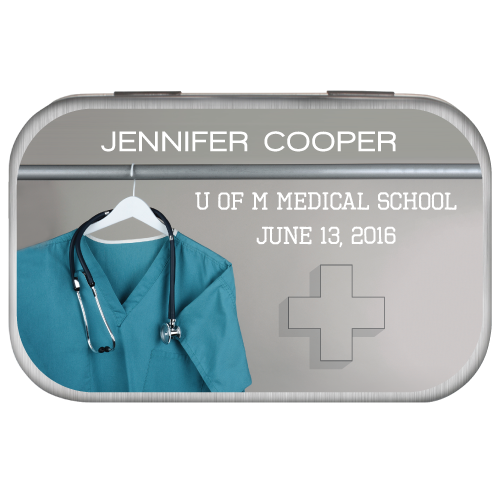 On the top of the tins rests a custom label with a gray background and scrubs on a hanger.